h3>Thermoforming plastic services from Gregstrom turns large, thick plastic sheets into high-quality plastic parts and products. Heavy-gauge thermoforming from Gregstrom supports sheet sizes up to 60” x 120” (.040”-.500” thick). That’s larger than most of our regional competitors can handle. 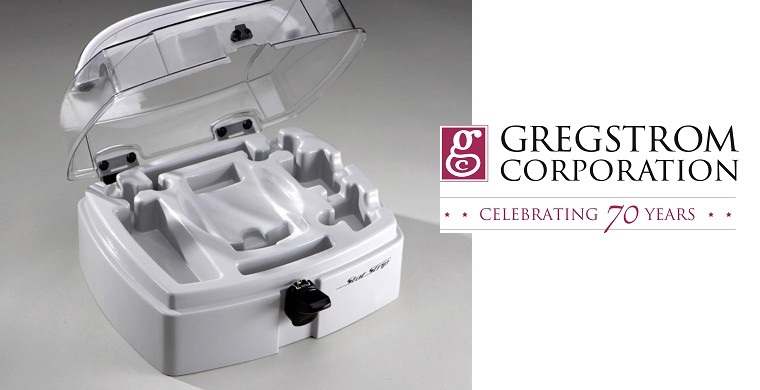 Plus, Gregstrom’s plastic thermoforming services are diverse. We can match colors based on chips or samples, create thermoformed parts from various plastic materials, and meet the demands of your sales forecasts. Ask us about custom color matching and textured tooling, too. What Are Thermoforming Plastic Services? Thermoforming pre-heats a flat plastic sheet to a pliable temperature. Using either suction from a vacuum (vacuum forming) or both suction and pressure (pressure forming), the plastic sheet is then molded to the tool’s shape. These plastic sheets come in various material types, colors, finishes, and thicknesses. Thermoformed parts don’t exhibit the sink or gate marks, porosity, and other undesirable surface conditions that are associated with injection molding. Instead, thermoforming provides a blemish-free finish along with fine details. For example, pressure forming creates sharp, crisp lines and details; textured surfaces; and formed-in-undercuts. Zero degree draft on sidewalls is possible, too. Twin sheet forming produces hollow plastic parts with details on both sides. Thermoforming also supports the use of CNC or robotic routing to cut or trim your plastic parts so that they meet your precise dimensional specifications. CNC and robotic routing remove excess or unwanted materials, and create clean edges that are free of burrs. Custom thermoforming provides lower tooling costs and shorter lead times than other plastic parts manufacturing processes. In addition to machined and cast aluminum, thermoforming tools can be made of wood, epoxy, and other low-cost materials. Tool modifications are cost-effective, and on-the-fly changes support prototyping, short runs, and medium-volume production. 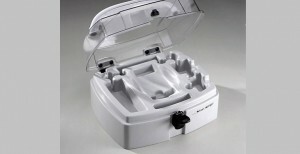 Gregstrom provides three type of plastic thermoforming services. Gregstrom forms custom thermoformed parts from plastics such as ABS, acrylic/PVC, HIPS, HDPE, LDPE, PP, PETG, and polycarbonate. Thermoplastics are a broad category of plastics that can be heated and cooled, and then melted and cooled again. For product designers, choosing the right thermoplastic material means asking and answering a series of questions. Do any regulatory requirements apply? Does the part require a specific finish, color, or texture? Gregstrom’s thermoforming equipment includes shuttle machines and three- and four-station rotaries. Thermoforming and injection molding are manufacturing processes for creating plastic parts. Each process has its advantages, but thermoforming supports larger part sizes. Plus, product designers can consolidate multiple, smaller parts into a single, larger part. Plastic thermoforming also produces unpainted parts that are visually appealing, and is especially cost-effective with small-to-medium production runs. Unlike thermoforming, injection molding uses plastic pellets instead of plastic sheets. The pellets are melted, then injected into a closed cavity via hydraulic pressures. Plastic pellets come in different material types and colors, but the only way to achieve a textured part is to use textured tooling. This has implications for production costs. Complex tooling costs more to produce, and higher production volumes are then required to lower the per-part cost. For lower-volume runs then, thermoforming with textured sheets is a cost-effective alternative to injection molding. The tooling that’s used for injection molding is also more expensive because of multiple actuating pieces and the strength that’s required under significant pressure. Thermoforming controls dimensions on one side – the tool side. By contrast, injection molding can control both sides and create walls with different thicknesses.